1.Ceramic Bearings have two types of ceramic bearing, hybrid ceramic bearing and full ceramic bearing.The hybrid ceramic bearing has steel inner and outer rings with ceramic balls. 3.Ceramic Bearings, SiC stands for the silicon carbide material and is alsoblack colored. 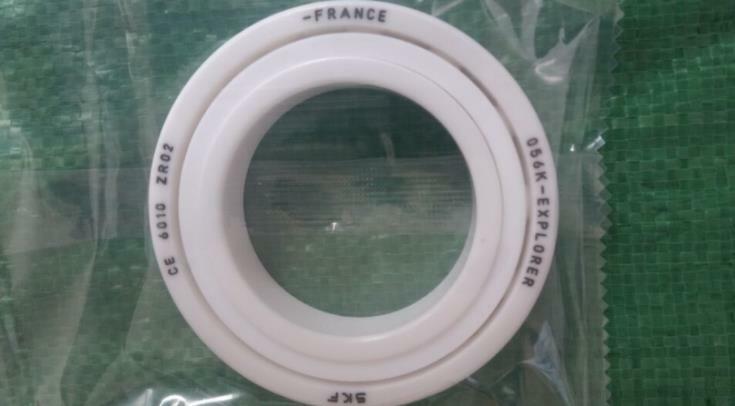 4.Ceramic Bearings, ZrO2 stands for the zirconium dioxide, also known as zirconia or zirconium oxide, they are white colored, a ZrO2 ball looks exactly like a pearl. 5.The ceramic material is not stronger than steel, but ceramic bearing are lighter and have lower friction than steel, which makes ceramic bearing go faster with lower heat generated. 1. Ceramic bearing has the characteristics of high temperature resistance, cold resistance, abrasion resistance, corrosion resistance and insulation, and can be used in extremely bad environment and special conditions. 2. 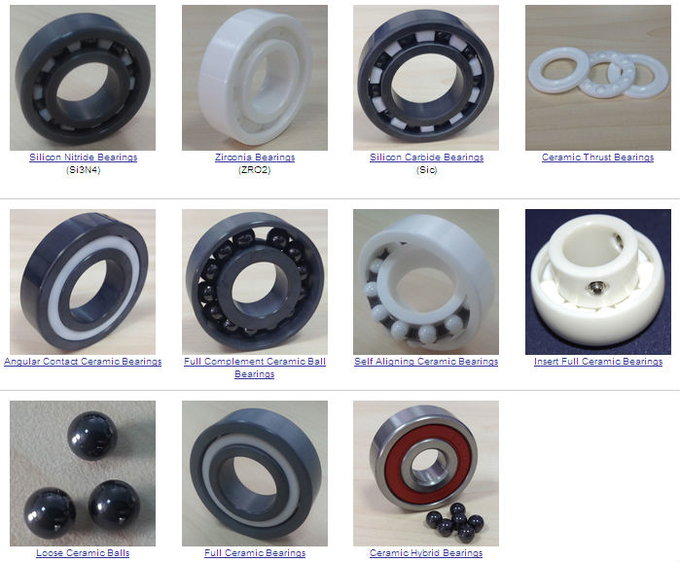 Ceramic bearings can be widely used in aviation, spaceflight, navigation, petroleum, chemical industry, automobile, electronics, metallurgical, power, textile, pumps, medical equipment and scientific research.